So many times when people (myself included) think about self-sacrifice, obedience and surrender, we think of it in negative terms and rise up against it. We are giving something up and for what? Sadly we think that way with God as well, when in reality, submission to God means a fuller, more rewarding, joy filled experience. How can I say this you ask? My experience has been this, my circumstances keep me focused on myself. Good or bad our circumstances can and will take our focus off of God and His interest in our lives and we choose to spend more time focusing on them, maintaining them, stressing about them or trying to solve them, and all God is asking is for us to trust Him with our circumstances and focus on Him–He’s asking us to RELAX. God’s goal for our lives is JOY, our goal is happiness. God’s goal for our lives is peace that passes all understanding, our goal is complete understanding (which takes our joy). It’s our circumstances God wants us to “surrender”. If we’d just trust Him with our circumstances, a knowing experience with God would unfold as we watch Him take our circumstances and turn them into something unimagined by us. 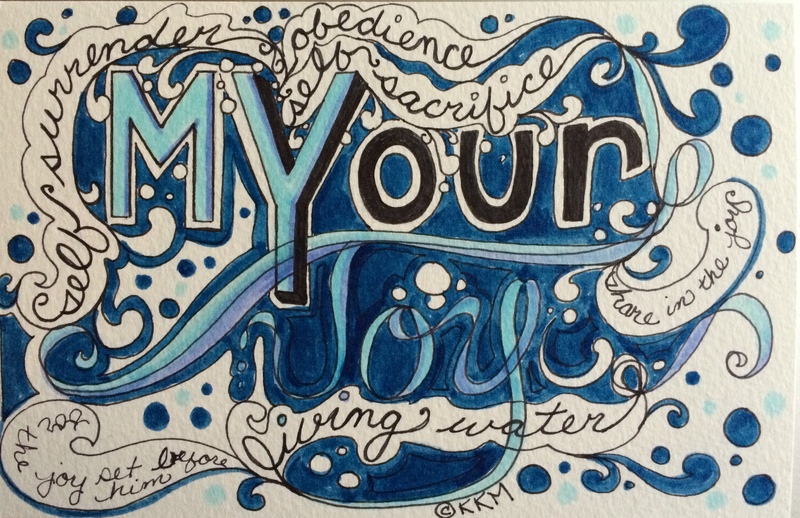 Soon, the very joy that Jesus possessed from trusting His life (and death) to His Father would be our joy as well if we’d surrender our lives to Him–we’d be full and overflowing with living water, with JOY. ← Useful or Relational–Can You Have Both?